The location where this photo was taken is unknown because I was on a plane from Brussels to Riga during the coldest weekend in 2012, at a whooping -28 degrees Celsius. Why travel to such a northerly city in the midst of the bleak winter? Well…why not? Off-season travel never bothered me and in fact attracted me because I got to avoid crowds while seeing a hidden side of a destination of choice. Bring it on, chill! 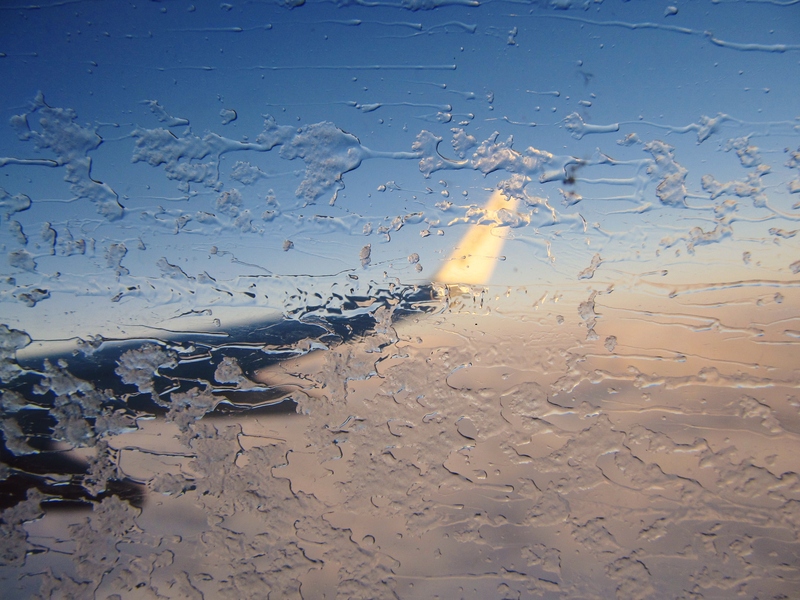 Great photo, much more interesting than the standard airplane window shot! You are currently reading Jun 14, 2015 – [Sunday] WordPress Weekly Photo Challenge: Off-season at Picture Worthy.